A lot has changed since the 60s. People don't leave their doors unlocked anymore. Credit cards mean having cash on you is a thing of the past, and don't even ask us when the last time we saw a pay phone was! Our modern lives come with certain conveniences, sure, but they also mean that you almost never leave home without the big three—cell phone, keys, wallet. Check, check, check! So, what if you're dressing as a hippie for Halloween, and trying to keep the groovy vibes alive? You'll need a bag to tote your essentials that doesn't stand apart from your whole "flower power" aesthetic...and if you can find one that keeps you hands-free for party hopping or trick-or-treating, then hey, all the better! Ta-dah! 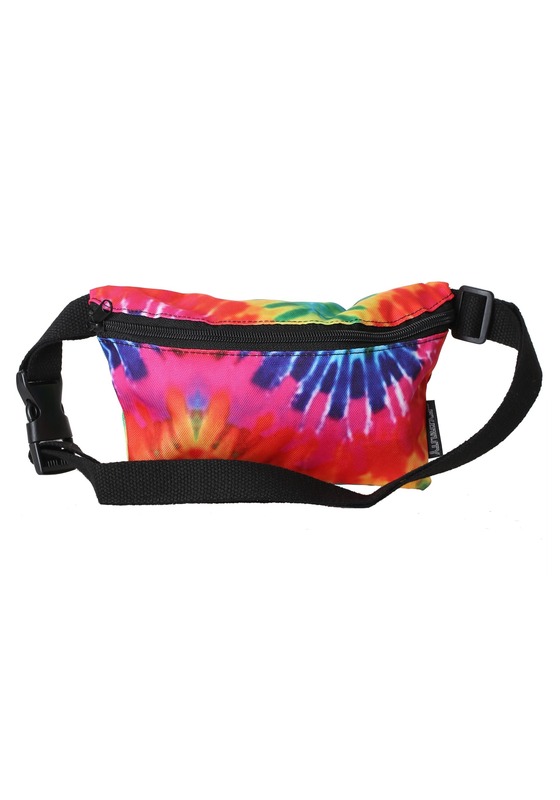 This Tie Dye Print Fydelity Fanny Pack is the accessory you've been searching for. It'll go perfectly with your whole retro look, and after you clip on its adjustable strap, you'll hardly know it's there (save the compliments you get for it!). 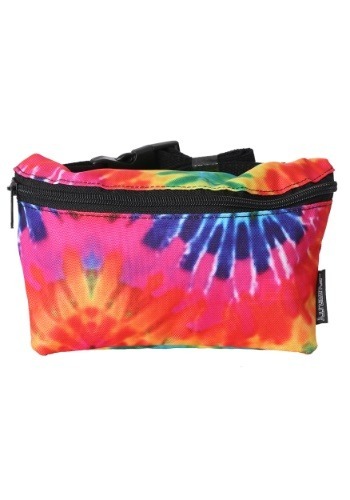 It's made of sturdy canvas and it zips along the top, to keep your modern conveniences in place. Boasting a bright tie-dye of pink, orange, blue, purple, yellow, and green, this little bag was made for a cool cat like you! Truly, we think a more peaceful coexistence between a costume and accessory could not be possible. Congrats on finding the perfect 60s-worthy pack!